The Volkswagen Golf VII has been awarded the annual Wheels Car of the Year award. It’s the third win for Volkswagen’s venerable Golf, following wins for the Mk1 in 1976 and the Mk6 in 2009. While long-time Wheels contributor John Carey stated: “From the smallest, thoughtful details to the biggest basics, this is a car that never falters. Its breadth of talent, it’s almost annoyingly persistent perfectionism and its unrelenting satisfaction make it something truly rare… a car for all reasons. It’s a welcome PR win for Volkswagen Australia who bungled its handing of the fallout from the Melissa Ryan case badly. The 32-year-old was killed while driving her Mk5 Golf GTI following a crash with a B-double semi trailer on Melbourne’s Monash Freeway, with claims her car inexplicably lost power and caused the accident. Subsequent media coverage from Fairfax Media was highly critical of Volkswagen with many readers reporting concerns over the reliability of their VWs. 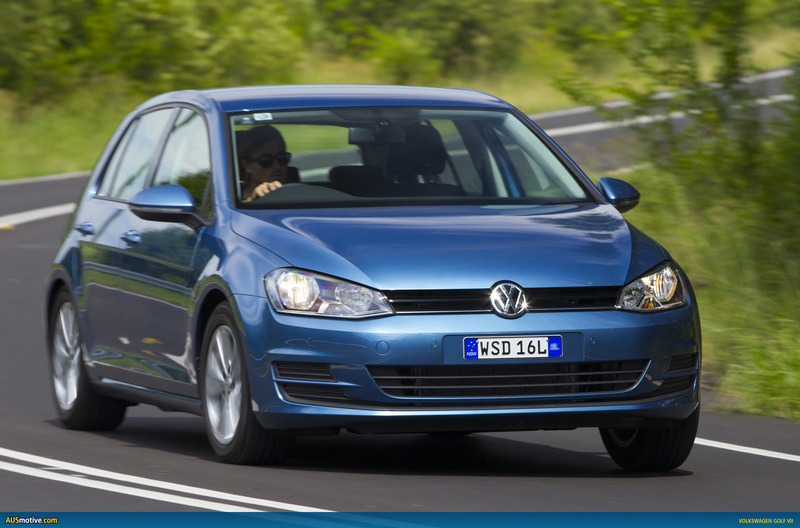 Notably, DSG transmissions, diesel engines and 1.4 litre TFSI engines found in Mk6 Golfs. Ryan’s car was a 6-speed manual Mk5 Golf GTI powered by a 2.0 litre petrol engine, a fact often skimmed over by Fairfax and certainly missed by most of its readers. The Victorian Coroner found Ryan’s car was not at fault and did not contribute to her death. However, Volkswagen Australia suffered in the eyes of the public and did not handle the criticism well at all in the early stages of the Fairfax campaign. January 16 2014 – Volkswagen’s seventh generation Golf has been named 2013 Wheels Car of the Year overnight at a gala event in Melbourne. The multi-award-winning Golf outclassed a field of 51 eligible vehicles to collect what is widely regarded as one of Australia’s most prestigious automotive awards. To receive this honour, the all-new Golf impressed Wheels’ highly respected panel of seven expert judges throughout a rigorous week of testing. Wheels magazine editor, Glenn Butler, lauded the Golf’s consistency in all of the criteria; “The Golf VII is satisfying to drive, serene to ride in and superbly user-friendly. “Volkswagen seems almost to have set out to create a car to excel in every one of the five Wheels Car of the Year criteria. And, quite simply, the Golf has aced it,” he said. “From the smallest, thoughtful details to the biggest basics, this is a car that never falters. Its breadth of talent, it’s almost annoyingly persistent perfectionism and its unrelenting satisfaction make it something truly rare… a car for all reasons. “This is one of the most worthy Wheels Car of the Year winners ever,” he wrote. Locally, the new Golf has also claimed victory in Wheels magazine’s Gold Star Value award for the 90TSI, and Motoring.com.au’s Family Car of the Year Under $30k. 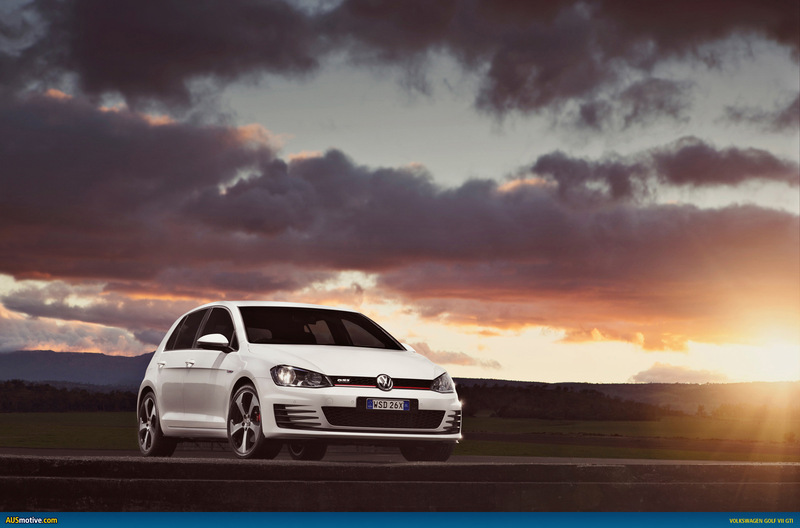 This is the third time the Volkswagen Golf has taken out Wheels magazine’s top honour. The Mark 1 Golf was awarded the 1976 Wheels Car of the Year and the Mark VI Golf was named 2009 Wheels Car of the Year. Volkswagen has received five Wheels Car of the Year awards over the years, including in 1974 for the Volkswagen Passat and more recently in 2010 for the Volkswagen Polo. Meanwhile, my MkVI Golf goes in for its second replacement mechatronics (under warranty) and has the resale of a bucket of prawns. Guess who won’t be buying a Golf VII? Oh well, the VI is still a really nice car, and the second engine only has 20, 000 km on it!